Everyone has the right to choose his or her own health care. If you are injured or unconscious, however, you might be able to communicate what type of healthcare you want. This is why it’s important to plan for your future healthcare by creating a health care directive in advance, before you lack the ability to make decisions for yourself. You can make a power of attorney for health care that allows you to name a representative to make healthcare decisions for you. This means the representative would be able to make any medical decisions for you, including consenting or refusing to any treatment or procedure, and admitting you to healthcare facilities or hiring personnel. You can also create a living will, which allows you to state whether you want certain treatments related to end-of-life care. 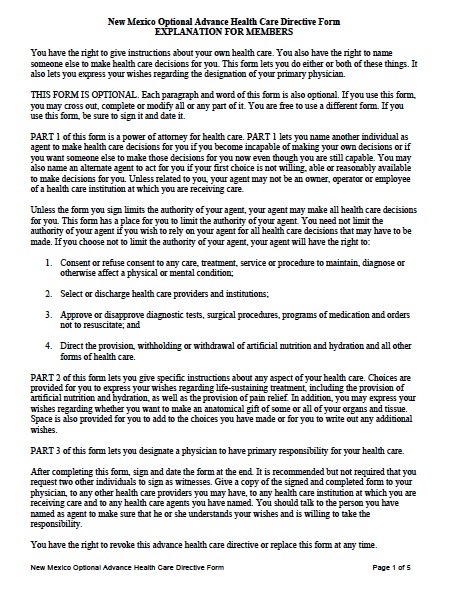 If you are incapable of communicating and you have an irreversible condition that will result in death in a short period, or you will almost surely never regain consciousness, then you can dictate that you would not like your life prolonged at all, have it prolonged as long as possible, or you can let your representative decide. You can also specify that you’d like to receive any medication and treatment to reduce pain and make you comfortable, even if this would hasten death.